When dealing with a lot of keywords, we strongly recommend tagging them to keep your data organised. Tagging your keywords helps you with categorising keywords into groups, whether it would be product groups, services or priority. 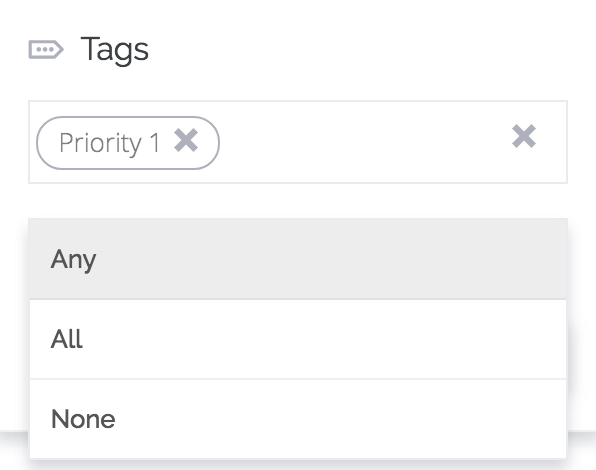 In this guide we will help you set up your tags and how to filter through them. For a written guide, follow the steps below. Go to the keywords list in the respective domain, and mark the keywords you want to tag. Important note: You can also tag keywords immediately when adding them, in the "Add keywords" section. Go to "keywords settings" and select "Add tags". To add tags, simply type a tag in and hit the "Enter key" ↵ to create the tag. You can add as many tags as you wish. When you have added the Tag(s), simply confirm by clicking on "Add tags". 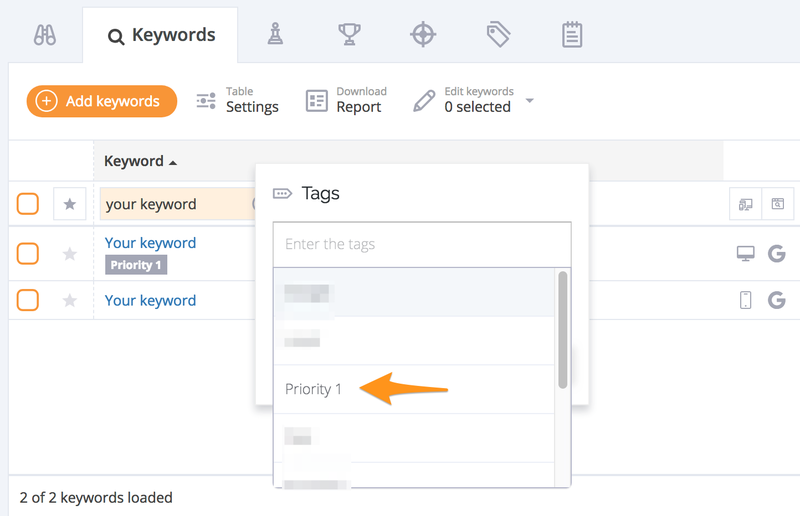 To have your keywords list only show or ignore specific tags, select the "Tag filtering" icon and select the tag. Show all keywords, with any of the tags you choose. Only show keywords containing the tags you have chosen,only relevant with 2 or more tags. Show all keywords that don't contain any of the tags. To remove a tag, mark the keyword(s) in question, go to delete options and select "Delete Tags". Mark the tags you want to delete and confirm by clicking "Delete tags". Want to learn more about filtering in AccuRanker? Click here.